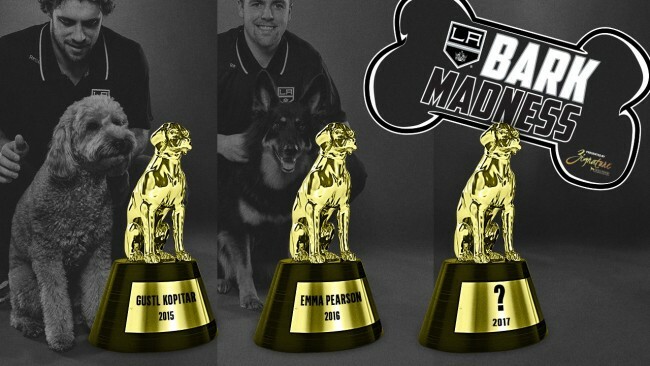 Which LA Kings dog will take home the spot as Top Dog in the 2017 Bark Madness Final? Vote now! A dream to be the best. A dream to elevate your game to unreachable heights, all in the pursuit of the ultimate victory. For these competitors, each year of training actually feels like seven years. But in the end ... it's all worth it. When you are named the Bark Madness Champion. So who will it be this year? Who wants it more? Who's a good dog? THEY ARE ALL GOOD DOGS! Let's take a look at the matchup for the 2017 Bark Madness Presented by Zignature Championship Round! With Bark Madness veterans Gustl Kopitar and Emma Pearson sent back to their crates at the completion of the Final Four, the competition for the Bark Madness crown is wide-open. Hank Martinez is a beautiful Blue Heeler/Beagle mix that has advanced to the Bark Madness Final despite having zero presence on social media. In fact, the last time that Hank Martinez was featured on Social Media, it was August of 2013! Hmm, I wish there was some way to remind people on social media just how cute the Martinez dog is. Meanwhile, Arlo Dowd is the belle of the social media ball and has been showing up everywhere online since the beginning of this competition. 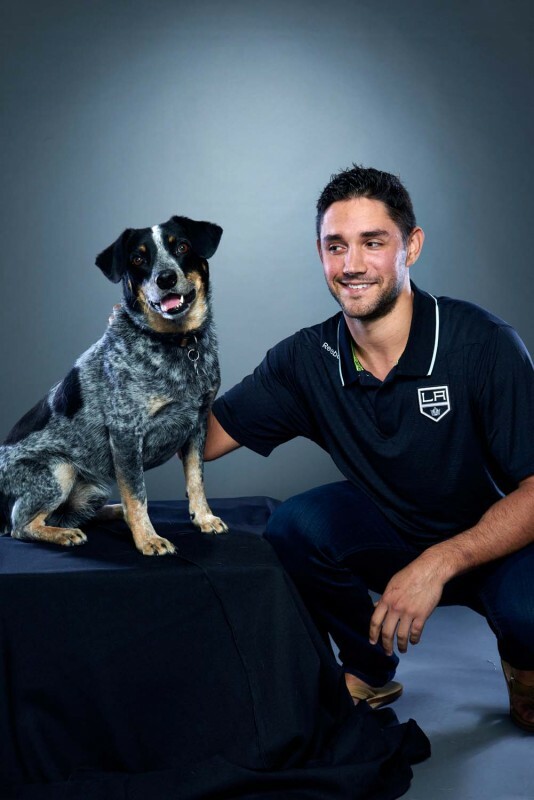 And how did Nic Dowd celebrate National Puppy Day? ...and we are all out of dogs. Well, there you have it. The Championship Game for Bark Madness 2017 Presented by Zignature has been set and it's time to bust your bracket! Make sure you vote above in the title game. Polls close at midnight on Saturday, April 1! So vote ASAP! But more importantly, make sure you give back by purchasing one of the "We Are All K9s" calendars for ONLY $5! Buy them here! The purchase benefits the Kings Care Foundation and helps bring attention to 4 Paws 4 Patriots! You can check out a behind-the-scenes feature on the making of the LA Kings Calendar from Kings Weekly here! Also, Jeff and Megan Carter work tirelessly to help promote all the wonderful dogs that are available for rescue throughout Los Angeles with the Wags and Walks organization. You can always support Wags and Walks by fostering, rescuing or donating. And be sure to check out Sunny Saints, a St. Bernard Rescue that Courtney Muzzin is involved with that helps put big old (and young) good boys and girls into loving, caring homes where they can spread their love.